This is not so much a review of a book as much as a review of a sliver of my life. When I was a kid, I had a full-freaking-infatuation with World War One aircraft. I drew them. I hung the models from my ceilings. I bought all the toys. I read the comic book Enemy Ace. I played Dogfight and, later, Richthofen’s War to death. I saw the play Billy Bishop goes to War. And I read every pulp novel I could find about the fliers, the planes, and their war. 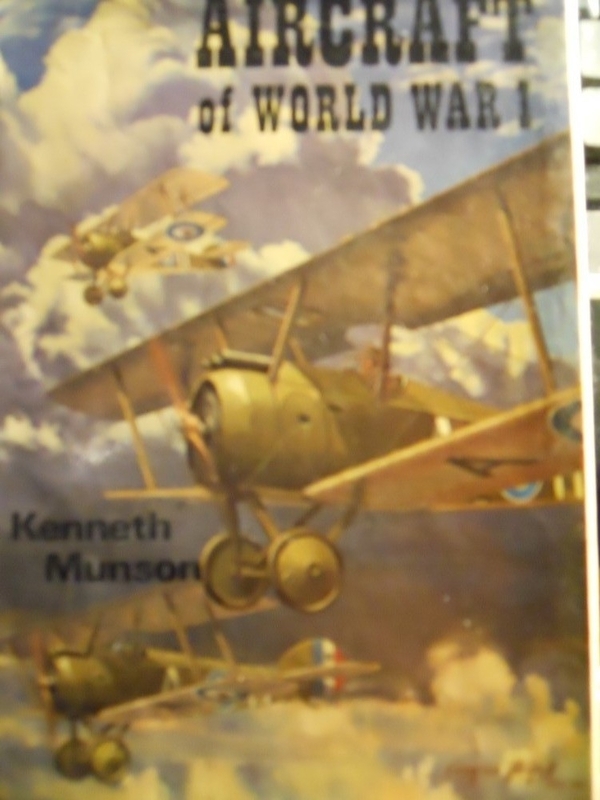 Sometime in the middle of all that, my mom gave me a little Christmas present, a thin book called Aircraft of World War 1 by Kenneth Munson. Munson’s book was like the Holy Grail to me – every plane, every variation of every type, had a page to itself – photo, descriptions, and performance facts. I knew that Pfalz had a DIII (that crazy-tail chugger from the movie The Blue Max). And I knew about their Fokker DVII look-alike, the DXII. But their triplane? And all the other wacky ideas they had? Wow. It’s not the writing of the book I’m praising (through the research, performed in this pre-internet time, was staggering). What I’m marveling at is the true nature of a book, one found not in an internet search, but by my mom nosing through the bookshelves and encountering this gem. 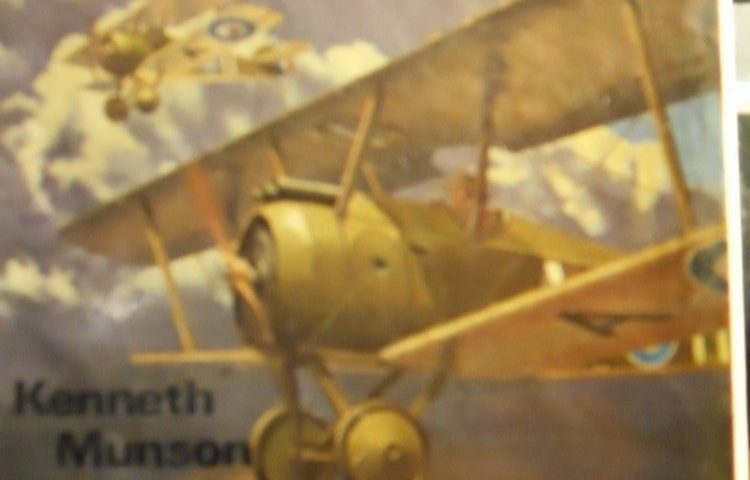 And how I savored it – if someone had to fly a Vickers Gunbus in a game and we didn’t know what it was, off the shelf would come the book, flip flip flip, and there it was. In a sense, it was my 1970 computer tablet with the aircraft app running on it, a thing I could flip open and reference data quickly from. It was a companion, every bit as much as a dog. And its followed me, shelf to shelf, for almost forty-five years now. While writing this review, moments ago, I started flipping through it again, seeing those images of those fliers from a century past, back when getting a machine gun to fire through a propeller was high-tech. In this, I capture just a bit of my lost childhood, savoring a past lost in this video-game, electronic-drunk era we now reside in.